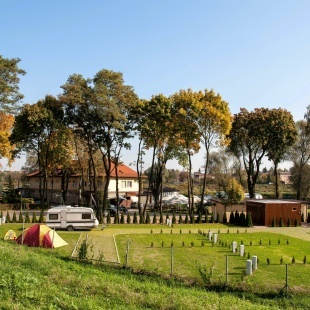 Cracow, for motorhomes, caravans and tents! 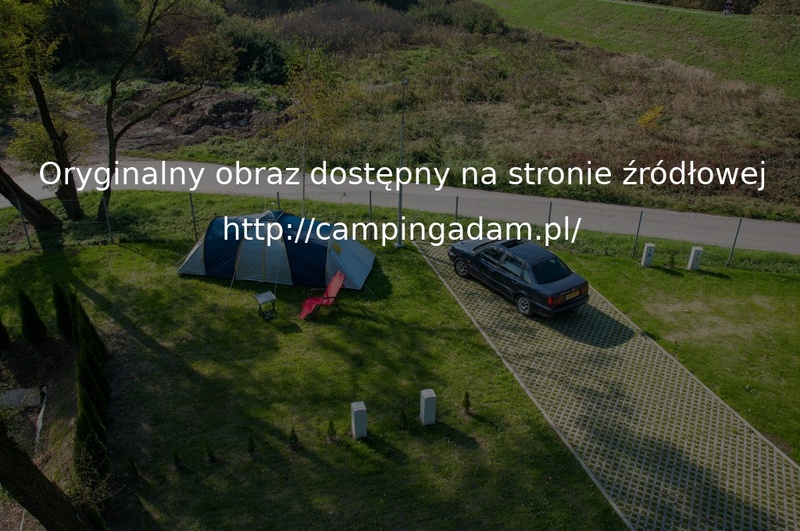 Camping Adam is located in Kraków at 24A Księcia Józefa Street (entry from Wioślarska Street) in the area of Salwator in the immediate vicinity of Hotel Eva and the sports club. Situated on the banks of the Vistula River, just 3 km from the Main Market Square, it is an ideal starting point for all those who wish to visit the Royal City of Kraków. The city centre can be reached in a few minutes using public transportation or the water tram in the summer season (marina on the premises of the facility). 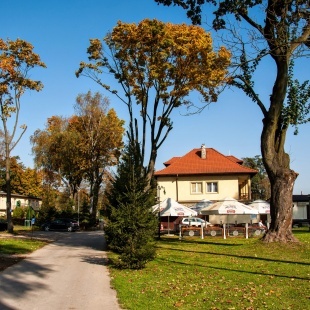 The peaceful surroundings, omnipresent greenery, and proximity to the Vistula River make it ideal for relaxation. 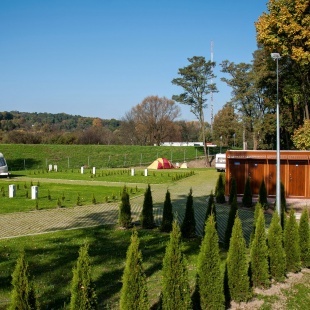 We welcome all visitors with tents, campers and caravans to rest at our resort! The regulations of Camping Adam are available here. 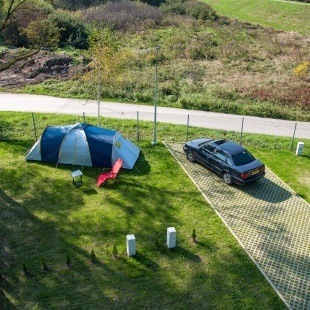 The area of the campsite is enclosed, lit up and monitored. In the area of our camping site there are many attractive tourist and recreational places, i.e. 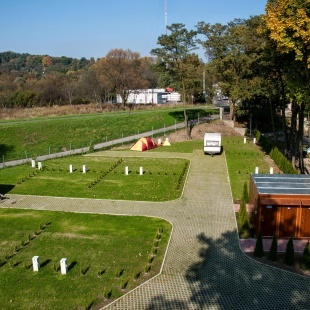 bike paths, the mound of Tadeusz Kościuszko with panoramic views of Kraków and many historical buildings. During your stay, we encourage you to visit the historical centre of Kraków, Wawel Royal Castle, Kazimierz District and in the neighbouring villages - Wieliczka Salt Mine and the Museum of Auschwitz in Oświęcim. The water tram marina situated on the premises of our facility provides the opportunity to see Kraków from the Vistula River, and also to visit the monastery of the Benedictine Abbey in Tyniec. 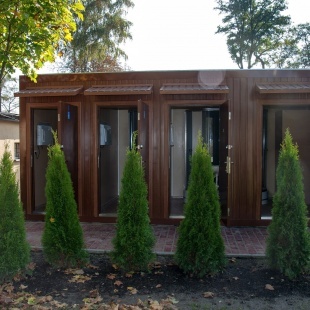 In the winter season are closed toilets, showers and access to water. The position will be available exclusively to connect to the electricity grid. 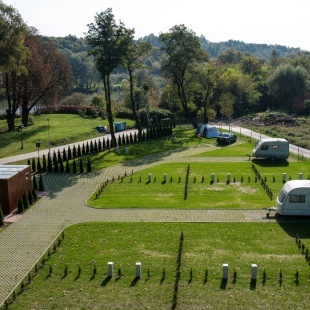 The campsite is available all year round basin for chemical toilets. Gross prices for 1 day. We invite you to take advantage of the restaurant at Hotel Eva. The operator of Camping Adam is the company RAMATECH-INSTAL S.C.